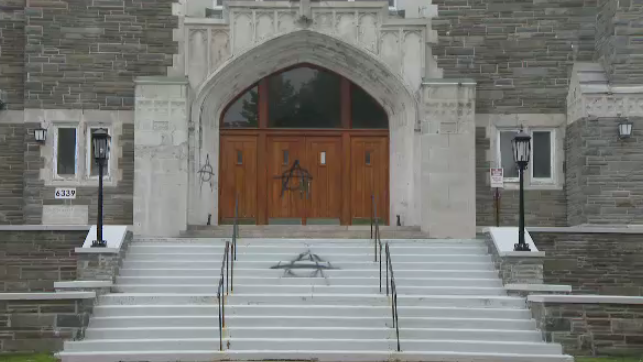 Vandals defaced a Halifax church and west-end cemetery overnight by spray-painting anti-Christian slurs and anarchist symbols. Staff at St. Theresa’s Church on Oxford Street and Mount Olivet Cemetery on Mumford Road woke up Monday morning to find a slew of graffiti on buildings, statues, and signs. Some of the slurs at St. Theresa’s Church contained profanity. "It's a sacrilege,” the Most Rev. 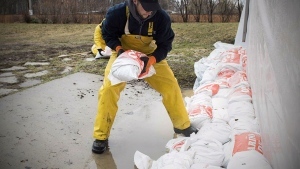 Anthony Mancini, Archbishop of the Archdiocese of Halifax-Yarmouth told CTV News. “My first reaction this morning when i saw this is that I felt quite ill."
Paul MacDonald, a superintendent with Catholic Cemeteries of Halifax, said this is more than just a case of vandalism. “This is an attack on religion,” he said. Alma Baker, who lives nearby, noticed the vandalism on her way to catch the bus to work Monday morning. “My grandmother, bless her soul, she rests in this graveyard, and lots of my relatives,” said a distraught Baker. The archbishop struck a forgiving tone in the news release. “Let us, for the moment, keep each other in prayer – including the individual or individuals who committed this act,” Mancini said. The archdiocese reported the vandalism to police and they are investigating. Staff at Mount Olivet covered the graffiti until it can be cleaned. “Everything that was vandalized will either be removed or covered up by end of day today,” MacDonald said. The worst, and most expensive damage, is to the statues. 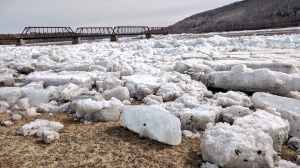 “They’re so old and they’re made of marble, so we’ll be consulting with the monument companies as well to find out … how this can be done as safely and as quickly as possible,” MacDonald said. Anyone with information about the crime is asked to contact Halifax Regional Police at 902-490-5016. 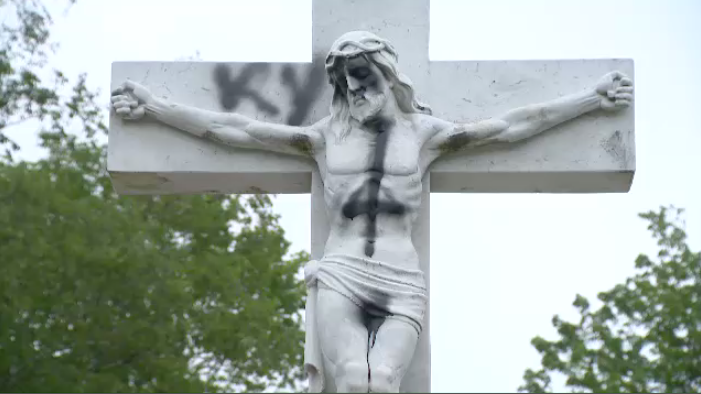 A statue of Jesus Christ at Mount Olivet Cemetery in Halifax was defaced by vandals overnight. Staff at St. Theresa's church discovered a slew of vandalism spray-painted on the property. 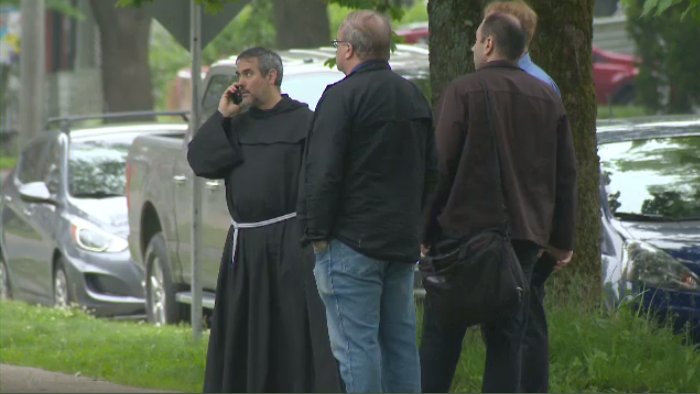 A priest from St. Theresa's Church speaks on the phone after assessing the vandalism.